It is my great pleasure to present a very healthy and active report of activities by Central Chapter for 2018. At the end of October 2018, the member count is at 85 paid-up members. 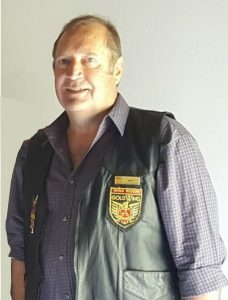 We carry in our thoughts the passing of Pax Mosterd, an active member. 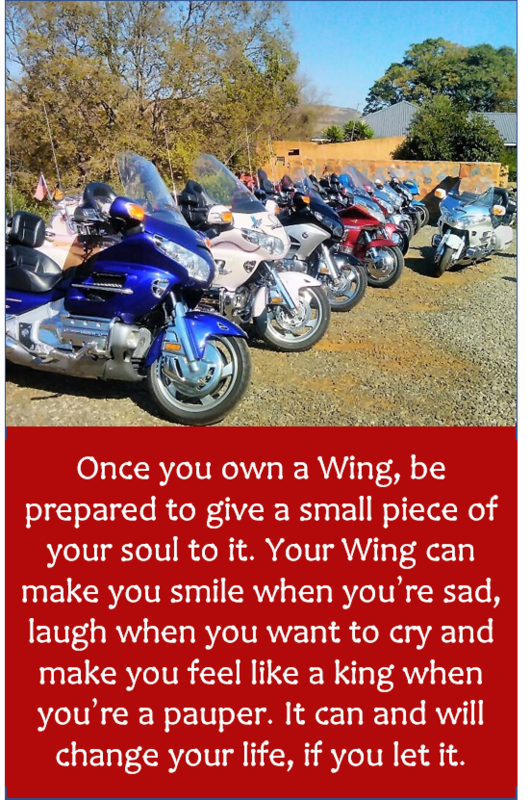 Joe Hatem and Armando Pellencin, former members of Wing Riders SA, also passed away. We remember the trike accident of Henry and Louise, who are still on the road to recovery, but whom we see at every run since the accident, albeit by car. A number of our members also came down with serious health issues, but we were pleased to have seen them again relatively soon afterwards. Johnno and Frankie Glover recovered well after the brutal attack on them at their home. Have the time to socialise together, learn from one another and be there for one another. If we can combine all of these with a little “show and shine” activity, then we have reached Utopia. It is my humble opinion that, as a Chapter, we achieved a great deal thereof this year. It is important that members remember that each individual’s involvement and contribution is of the utmost importance. You can either sit there and wait to be entertained, or you can be the entertainment, or contribute to the entertainment. On the activity scale, we had an official run every month with great participation. Our highest attendance was in February to the SAA Museum, with just over a hundred members and guests. The average participation was always in the fifties at each of the events. A fundraising activity at Honda Menlyn gave us the opportunity to test the newly developed Concours d’Elegance scoring system. Our Divas managed to arrange their own weekend away. A mystery run led us to beautiful parts of our country. A number of “show and shine” events were also held at auto dealerships and shows. The activities of the Chapter made it into the local newspapers on two separate occasions – the day at the SAA Museum and the Honda Menlyn Show and Shine day. The finances of Central Chapter are healthy and was boosted by the fundraising activities, donations, fines and monthly raffles. A full financial report was sent to each member, together with the agenda, before the meeting. 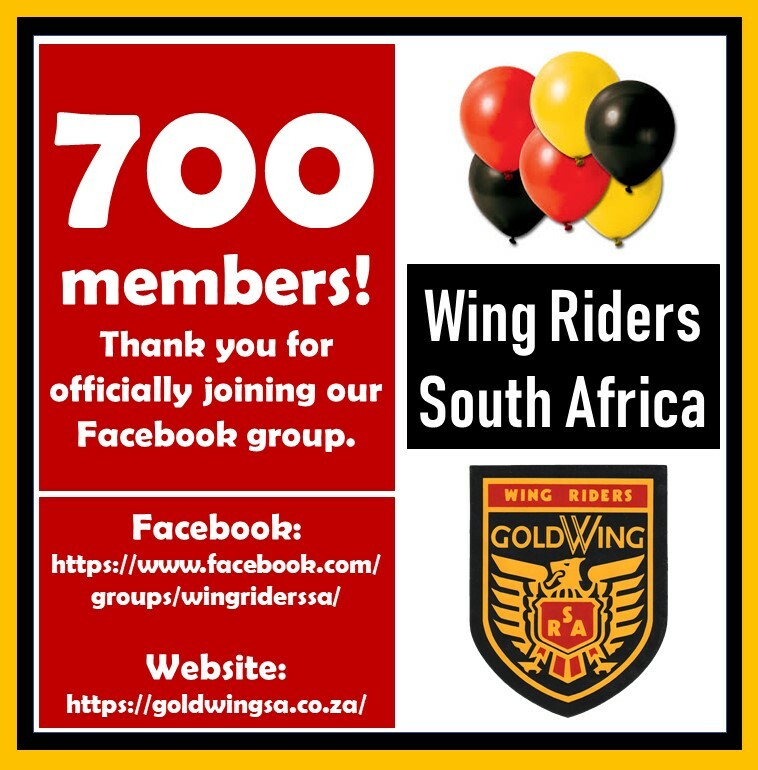 We, as a committee, have taken the decision to be very prudent during this year’s AGM and year-end function to preserve the funds as much as possible, in the light of Central Chapter’s responsibility to host the 2019 Wing Fling. 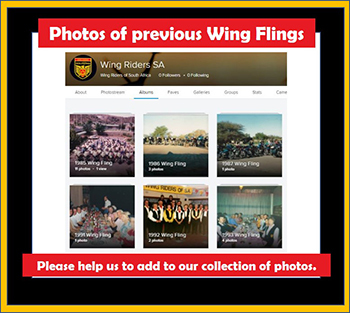 According to feedback received from the Western Cape Chapter, it is clear that Central Chapter needs to budget for between R40 000 and R50 000 in order to be able to host the Wing Fling. With only two Chapters now in the country, this will remain an ongoing issue to ensure the hosting Chapter has the necessary funding for the event. Given the economic climate, prudence will have to trump over opulence, going forward. Central Official WhatsApp group is the primary and official channel to inform fellow members of activities and information related to Chapter or members’ information. All paid-up members are to remain members of this group. One area of improvement required, is to read and act on the information and requests when needed. It is very disheartening to put in the effort and then still have to remind members. Central Social WhatsApp group is the free-for-all group. Please adhere to the Code of Conduct. For both groups, please refrain from any personal attacks on individuals. If there is a disagreement between two members – keep it like that – do not broadcast. Stick to the Code of Conduct rules. Our Facebook group and website are being maintained very rigorously by our secretary and all activities are posted immediately after the event. Please acknowledge (like and share) the effort that goes into this to market Central Chapter’s activities to the broader audience of other interested parties, worldwide. Please stick to your riding position when we depart from our final departure point. When riding on a multi-lane motorway, let us all stick to the same lane (unless we are busy overtaking). When we have vehicles in the group, they should all follow behind the last rider and act as a back-up at the same time. The second rider should always stop when we encounter a turning point and then fall in line, second from last, and remain in that position. The first person (leader), therefore, always stays in the first position and the last person (sweeper), always stays in the last position. On behalf of all the committee members, I would like to say thank you for your participation and activities. To the fellow committee members, thank you – you were a great team to work with. Well done. To the new committee members – we wish you success and look forward to a prosperous 2019. On a personal note, when Suzette and I eventually get to our new destination, we will sorely miss this great bunch of people. 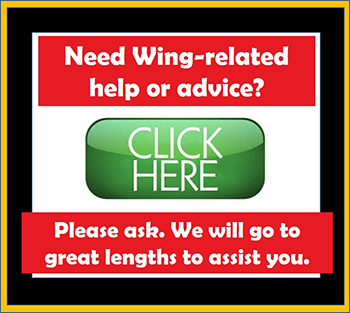 We will definitely stay in touch and see each other every year at the Wing Fling, at the very least. Safe riding, as always, and my best wishes to you all.